Wayfinding signage is necessary for large commercial buildings, hospitals and confusing floor plans. Just because you need a directional sign though, does not mean you need to have a rectangle mounted onto a wall with helvetica font. 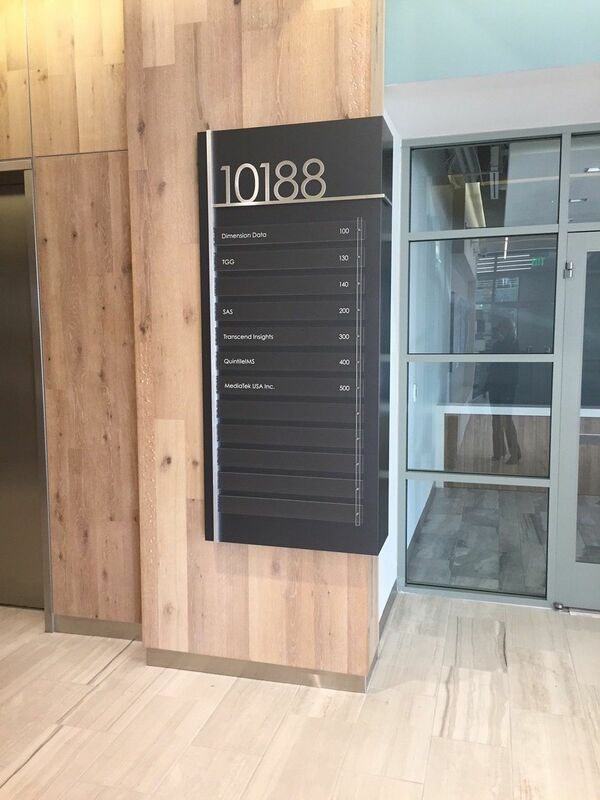 Creative and fun wayfinding signage can lighten up the mood of the office, make the creative nature of your business known, and reinforce your branding to your employees and customers as they walk around. With present day technology and machining, wayfinding signage is starting to combine with architectural graphics to help make the boring wall now a work of art.